You may be a candidate for chin enlargement if you have a small or receding chin. A chin that looks too small in comparison with other facial features and possibly makes the nose appear longer. Chin implants are also appropriate for individuals with a desire for increased chin prominence. 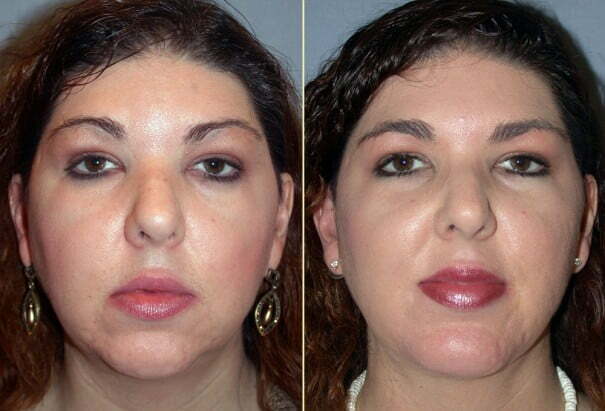 The chin enlargement procedure is done on an outpatient basis under sedation and local or general anesthesia. Dr. Movassaghi performs surgery at McKenzie Surgery Center or Sacred Heart Medical Center in Eugene, Oregon. An incision is made inside the lower lip or under the chin, and an implant is placed. In an alternative method called sliding osteotomy, a portion of the chin bone is moved forward. Additional procedures that would enhance the result of chin enhancement are neck lift, nose reshaping (rhinoplasty), or laser skin resurfacing.